Hiya friends! Today is part two of my post about our trip to Magnolia Market a few weeks ago. I’ve had so many of you ask for specific details about Waco–like where to stay, eat, and of course shop for antiques–so today I’m sharing everything you need to know about visiting Waco, Texas. Well, not everything but you get the idea. I hope this post is helpful if you’re planning your own little getaway to the farmhouse motherland! Waco is about 90-100 miles from both the Austin and Dallas airports. Both airports have plenty of rental car services, just be sure to get something lined up before your trip. We flew into Austin and rented an SUV for the trip out to Waco, which costs around $200 for 3 days. If you don’t want to hassle with a rental car, there is a small municipal airport in Waco. But keep in mind airfare to that airport won’t be cheap! Definitely try to plan your flights early in the day, which is so important to avoid any rush hour traffic getting in or out of the city. We made the mistake of scheduling a late afternoon flight and didn’t arrive in Austin until 3:00pm on a Friday. The drive out to Waco was pretty hectic and took us about 2 hours and 15 minutes. So I recommend arriving early if you can. We stayed at The Indigo Hotel which was super nice, clean, and very comfortable. Not to mention it’s only a 5 minute walk from Magnolia Market and close to lots of other antique shops. I highly recommend it! 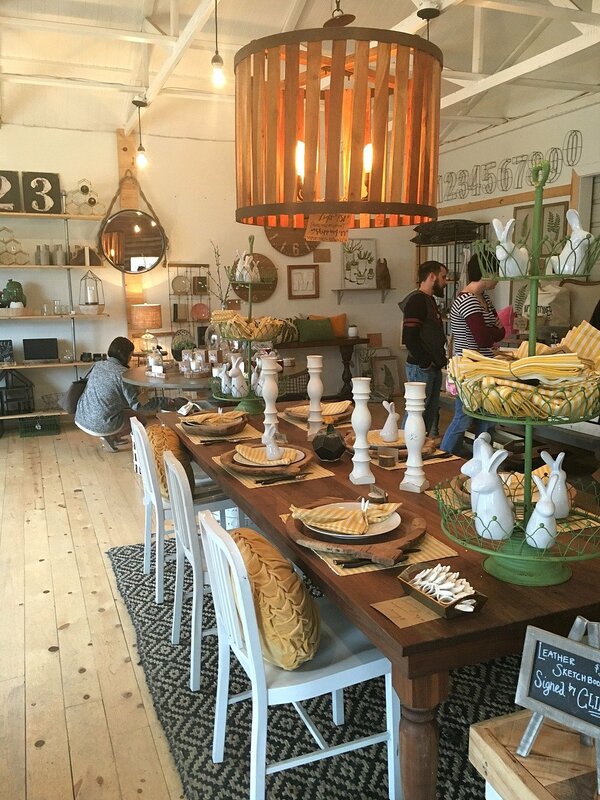 After visiting Magnolia Market we stopped into several other antique shops and boutiques in town. My favorites were Junque in the Trunk, The Findery, and Spice Village. Each one was unique, but if I had to chose I’d say my favorite was Junque in the Trunk. A cute corner at Junque in the Trunk. LOVED this place! 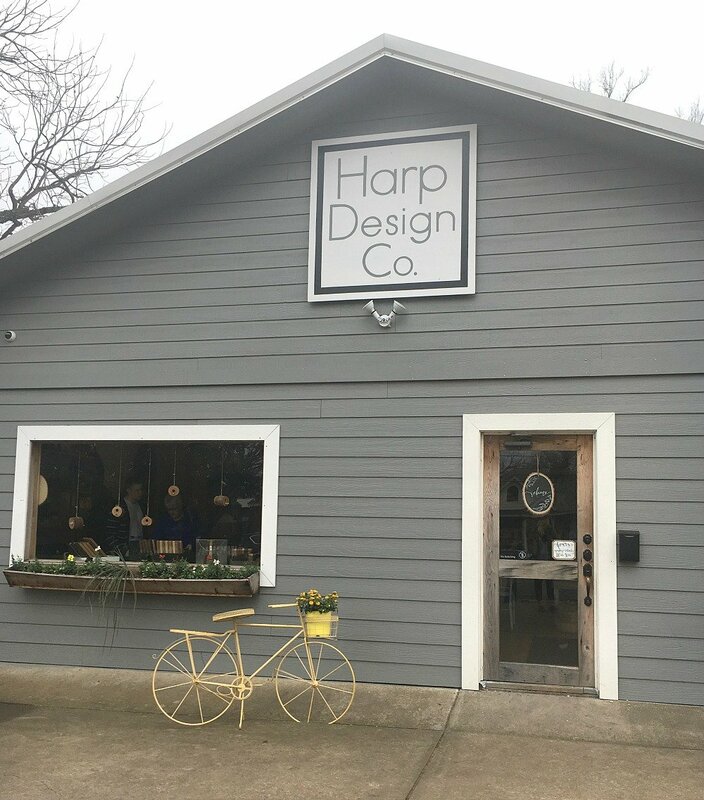 This is inside the Harp Design Company. It’s a super cute little shop with lots of unique items. Food, glorious food. What would a vacation be without taking in the best local eats? A sad one, that’s what. Hands down my favorite place we ate while in Waco was the Twisted Root Burger Company. The burgers were insanely good, the atmosphere was awesome, and we had an old-fashioned custard shake that was out of this world. I’m getting hungry just thinking about it. We also ate at Torchy’s Tacos, which is really good and I hear it’s one of Chip and JoJo’s favorites. And of course make sure to hit up the food trucks at Magnolia Market. We ate there a few times just because it was so convenient. My favorite was definitely C0-Town Crepes. 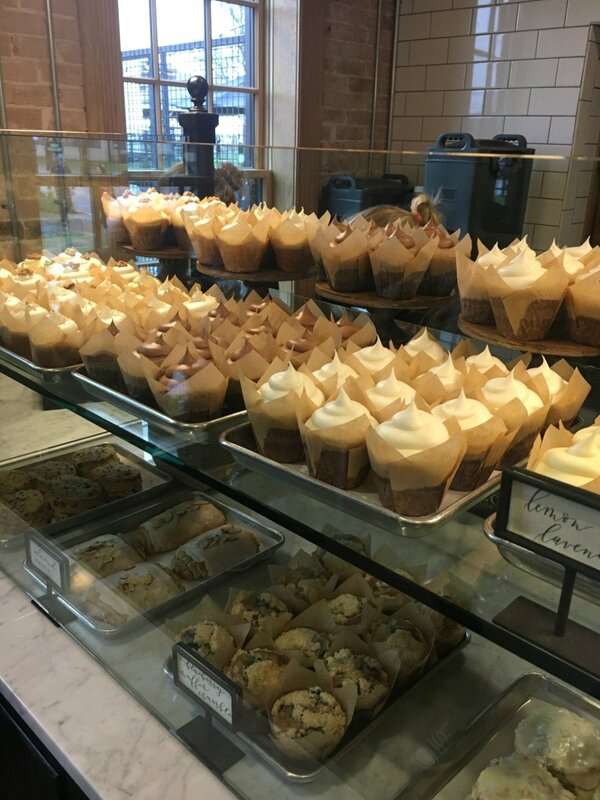 And it goes without saying that you have to get a cupcake from the Magnolia Market bakery. I promise, you will not regret waiting in line for that cupcake. They are soooooo good! I hope this helps if you’re planning to visit Waco, Texas anytime soon. 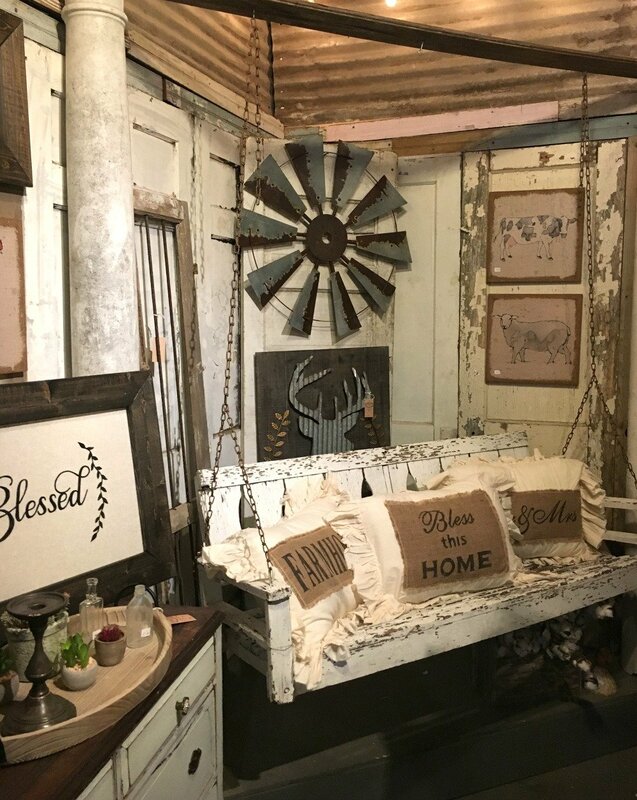 It’s really an awesome place and it makes for the perfect weekend trip–especially if you’re a fan of wonderful things like antique shops and yummy food. Definitely let me know if you have any questions, I am more than happy to help. 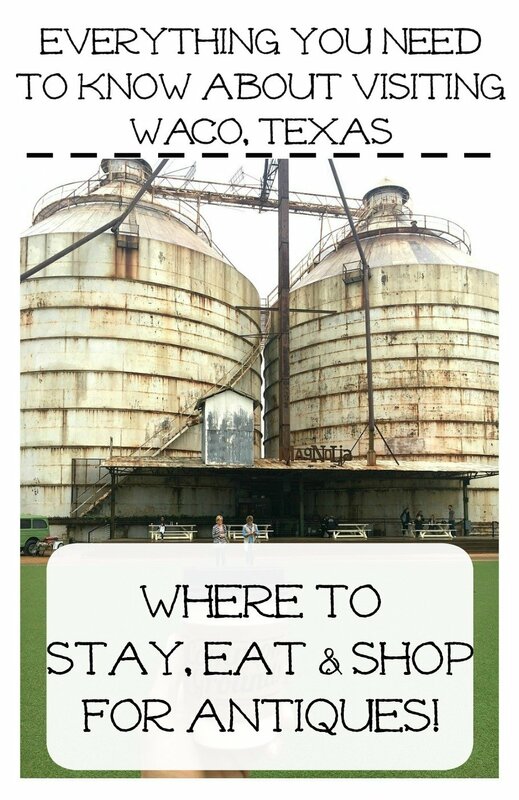 And be sure to check out my post about visiting Magnolia Market if you’re interested in seeing specific tips for visiting the Silos! I recently found your website and just absolutely love everything on here! So glad I found your webpage. I can tell I’ll be a follower for a long time! Yay Ashley, so happy to have you here!! I sure hope you can get there one day Julie! Great info Jessica, thanks for sharing. And good to know if we go back with the kiddos, they would love that! sarah, thank you for these posts! i grew up an hour north of waco but live in arkansas now… going to swing down on a visit in may & can’t wait! this is such good info!!! thanks for the tips! Oh that’s awesome Tracey, enjoy your trip in May!! Hi there! Love your blog and this post! Can’t wait to visit Waco one day! Did you buy much stuff down there and if so how did you get it home? I imagine if I ever go down there, there may be things I want that are bigger pieces and I’m curious how’d you get those home. Thanks! Hi Carly! You know, I didn’t buy a ton of stuff just because we were limited on space and I didn’t want to spend a ton of money on shipping bit items. We did ship one thing from Magnolia, which was crazy expensive, but everything else was small enough to go in our carry-ons and suitcase. Well because of the first post last week on your trip, I couldn’t stand it any longer! I get to go this Thursday. I live about 2 hours away and I’m going with the Sister-in-law and her cousin. It’s spring break down here…hope it’s not crazy. But even if it is, I’m gettin me a cupcake or 2 or 3! Thank you for the extra shopping places too. Soooo looking forward to this! What??!! Yay, that means you’ll be there for Spring at the Silos, right?? How exciting! Enjoy every minute of it Cindy. And eat a cupcake for me! Hi, My name is Lisa I just want send my emailed to you for the free labels. But I have know way to printed them out. Can you send them to me in the mail. I really enjoy reading your Blog. And you must be a big fan of fixer-upper too. Thank you. Hi Lisa! Unfortunately I’m not mailing printables at this time. Can you visit your local library and print it off? It prints fine on standard sized paper. 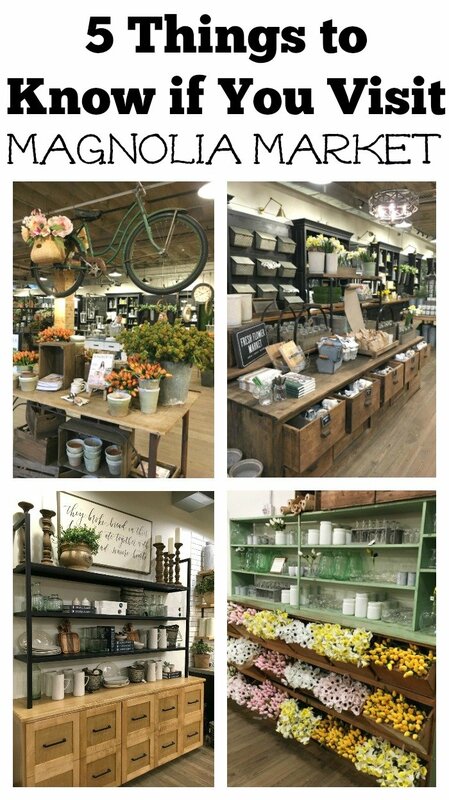 Be sure to visit SCOUT Homegoods when you’re in Waco too! If you like magnolia and the Findery you’ll love Scout! Oh awesome tip, thanks for sharing Amy! So jealous of your trip!!! I can’t wait to someday visit! Great Advice. I can’t wait to go do some of this stuff now. I AM going to visit magnolia – either spring of 2019 or spring 2020 (after I retire). Loved your tips for shopping and eating and negotiating busiest times of day! Thank you so much! I signed up for your newsletter so I am looking forward to that too. I thought you and your readers might be interested in a book I just published. Our home was remodeled on Fixer Upper in the first season, and our episode has been seen by over 40Million people. I provide a lot of background about working with the show and what it takes to rescue a beautiful old house. The book is called Mailander House and is available on Kindle. The paperback is also coming soon. oh so cool! Thank for sharing Dave!! I am going for my first time in two weeks! I am so excited. Thank you for sharing this wonderful blog with great tips and pics!